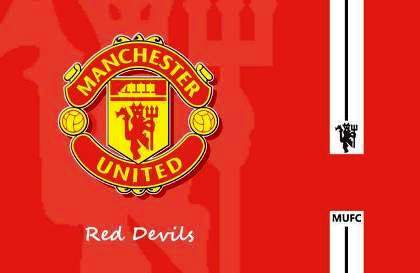 AFP: Manchester United's fans in Malaysia erupted in astonishment and anger on social media Thursday after clerics warned Muslims against wearing the team's famous jersey with its "devil" emblem. Manchester United and the rest of the English Premier League are hugely popular in Muslim-majority Malaysia, where conservative religious leaders said the jersey was un-Islamic and should be banned. Social networking sites like Twitter and Facebook were flooded with comments from fans in the Southeast Asian nation. "Maybe the religious leaders are just fans of Liverpool?" quipped one supporter on Twitter. "Why this become an issue after Manchester United has won the title for 11 times? They haven't been watching the matches all this while?" said Sharifah Shahidah, a die-hard Manchester United fan of two-decades standing. "What am I gonna do with all my Man Utd jerseys? And my sons' jerseys?" Sharifah, a Muslim mother of two and an IT programmer, asked on her Twitter account. "Should I cover the emblem with a picture of flower?" Malaysian clerics said Wednesday that Muslims must not wear the iconic red jersey because devils should be shunned, not celebrated, and urged those who had worn the garment to "repent immediately". Also off-limits are the shirts of teams including Brazil, Portugal, Barcelona and Serbia, all of which carry an image of the Christian crucifix in their team emblems. "This is very dangerous. As a Muslim, we should not worship the symbols of other religions or the devils," said Nooh Gadot, a top Islamic leader from southern Johor state. Manchester United Fan Club Malaysia, which has about 7,000 members, declined to comment, but the fan club's chief, Lawrence How, noted there was no official ban on the jerseys. The clerics agreed there was no "fatwa", or religious edict, but that one was not needed when it was clearly wrong for Muslims to wear such a garment. Malaysia is a generally moderate Islamic country, but conservative clerics have issued controversial edicts in the past, including a ban on the ancient practice of yoga, which is criticized for including Hindu elements.